Author Maureen Mayer: Less Than 1 Month To Go! It's the final countdown everyone . . . less than one month until Relinquishing Liberty is released! 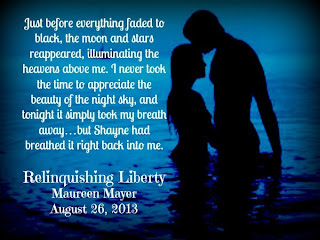 Relinquishing Liberty Release Day Event! Relinquishing Liberty Is In My Editor's Hands!